2017-02-22 – collect ’em all! Eat your heart out, Topps! Like so many others my age, I had the Wacky Packages monkey on my back something fierce back in the 70s. When Topps resurrected Wacky Packages a few years ago, I was compelled to buy a few packs. But I was disappointed with the gags and the art. I’m not quite sure why—it’s certainly not an issue of my sense of humor becoming any more refined. I think it’s just that none of the parodies seemed very clever. I remember my mom loving the old Wackies, so much so that she would often refer to products by their Wackified names (Log Cave In syrup is one I remember her using a lot). None of these new ones seemed like they’d have been Marty-worthy. Anyway, I recently dug out my old collection, and it got me to thinking about all the ideas early-70s Jon had for new Wackies. I think you can see where this is heading. OK, so this may not be especially clever. Fair enough. I came up with this particular idea a few years ago, while cat sitting for friends. 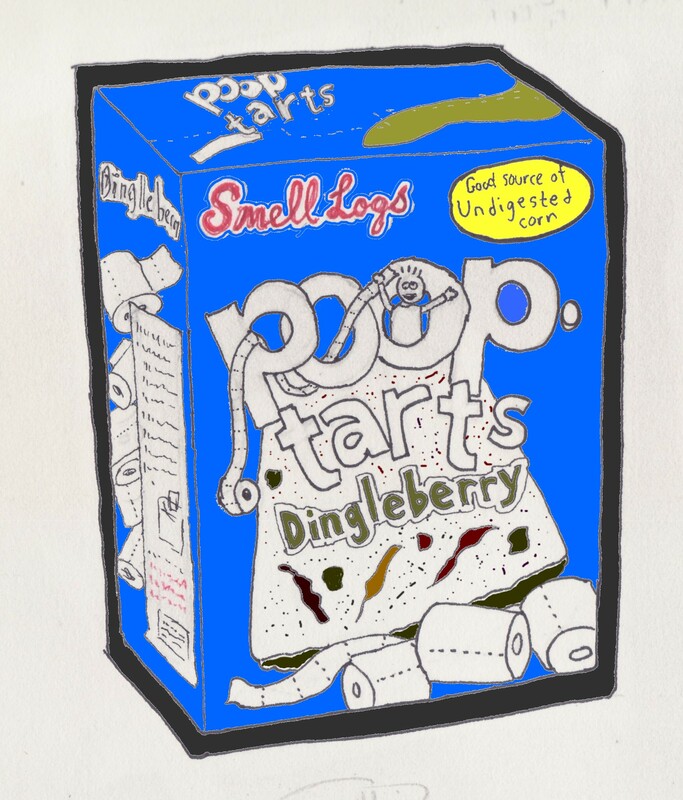 I actually did a mock-up of this design and slapped it on the Pop Tarts box in their cabinet. My idea had been to replace several other products in their house (the only other one I remember was Adam Ant’s in Your Pants for the game Ants in the Pants), but it was too much work. 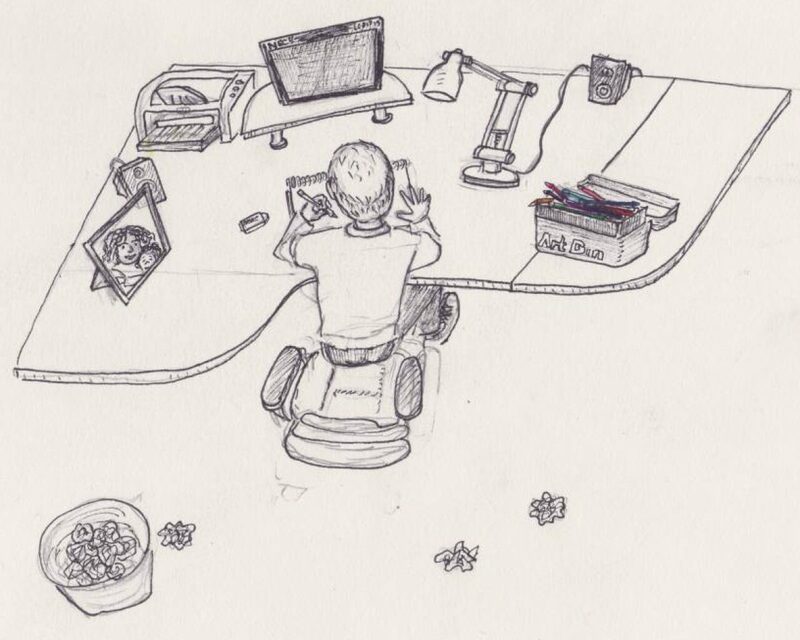 This is one of three Wacky-esque sketches I dashed off a couple of days ago. I used a computer art program to color it, which was not easy. I don’t think Topps ever came up with a Wacky for Pop Tarts. Seems like it would have been pretty low-hanging fruit.